A great nights sleep is very important. It's important for our health, our well-being and how we feel. If we get enough sleep each night we wake up feeling more energized and ready for the day, and it can determine our whole mood for the day. Let Tanda Sleep help you achieve that great nights sleep with their Pillows. I received 2 to try out and I could not be happier! I received 2 of their Cool Pillows and they are amazing! I've honestly never loved a pillow more. The pillows have a technology called ATROS that helps the pillow feel cool all night long. Tencel infused fabric is ultra soft and comfortable. Opti-Breeze foam for superior comfort and hugability. An they have adjustable loft for any comfort level. Overall I'm loving my new pillows, they are so soft and comfortable (without being TOO soft) and they really do stay cool all night long. It's easy to find the cool spot of the pillow with the Tanda Sleep Pillow! I'm really enjoying snuggling up with both pillows at night and I would definitely buy these again. 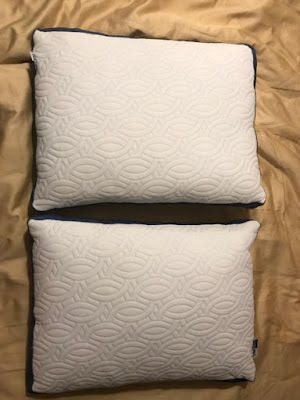 Price: $75 for each pillow, they also come in a 2 pack, but there is no discount at $150. Overall: ***** The price is a bit high, but so far I've found it's worth it! These do sound nice. 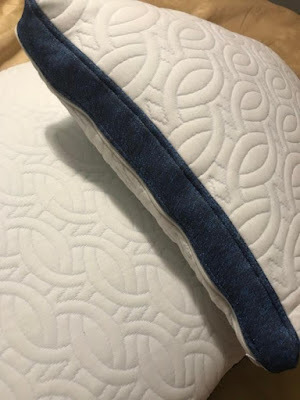 I had tried to order some pillows online from Target, but they sent me the wrong ones several times, and the ones I got were like huge marshmallows, and I just couldn't take it! I haven't gotten pillows yet,and already threw out the old! These are ones to try!